Do you have a simply installed do it yourself hidden home security camera? The VMEL is .. When you need to record a conversation, when you are speaking with someone but don’t want to be detectable then you can use this spy hidden listening device. Are you worried about missing important conversation when you can't remember them according to your memory or handwriting? This device is ideal for recording meetings, deployment inside a car when left in plain sight or hidden from view and for room surveillance. 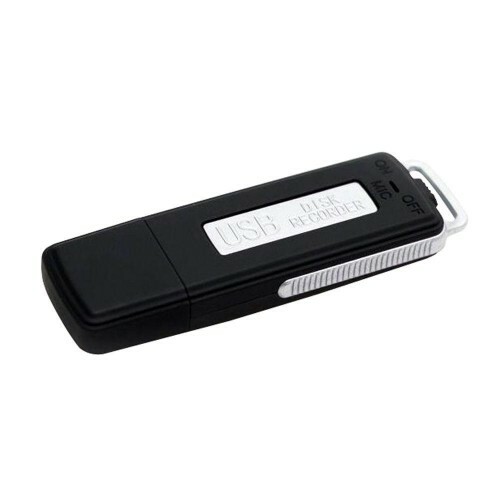 This 4GB Mini USB Flash Digital Voice Recorder Black will be useful for these purposes. It looks like a USB data stick and this is the perfect pocket-sized voice recorder. 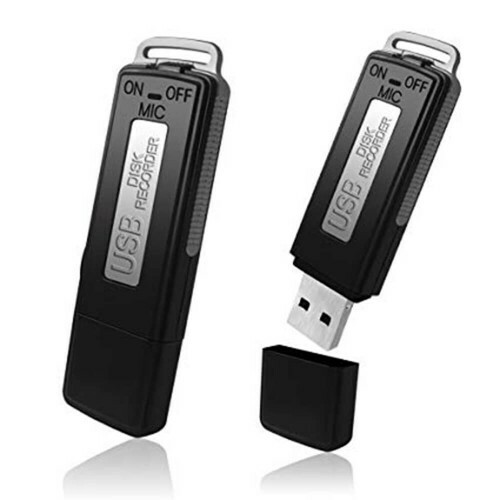 This has simple one-key recording features which don’t require any software to be installed. Other recorders available are severely restricted in relation to the length of deployment because of the battery problem. This is usual problems faced with a voice recorder built into the small flash drive is the battery life, because of the advanced technology built into this device ensures that there is no power draw at the time of not recording in voice activation mode. This device has a maximum recording of up to 7 hours. Vimel USB Flash Drive has the total capacity of recording up to 28 hours. On one end there is a loop what it appears as for attachment to a key ring but actually, it is a revolving a bezel, a switch mechanism which is extremely discreet. This enables the user to switch on and off the device discreetly with no fuss. It also supports WAV formats. Vimel Mini Tiny VIM-VOICETINY 240Hrs Digital Voice Recorder with Scheduled Reco..